Expand your knowledge to help your clients and increase earning capacity. 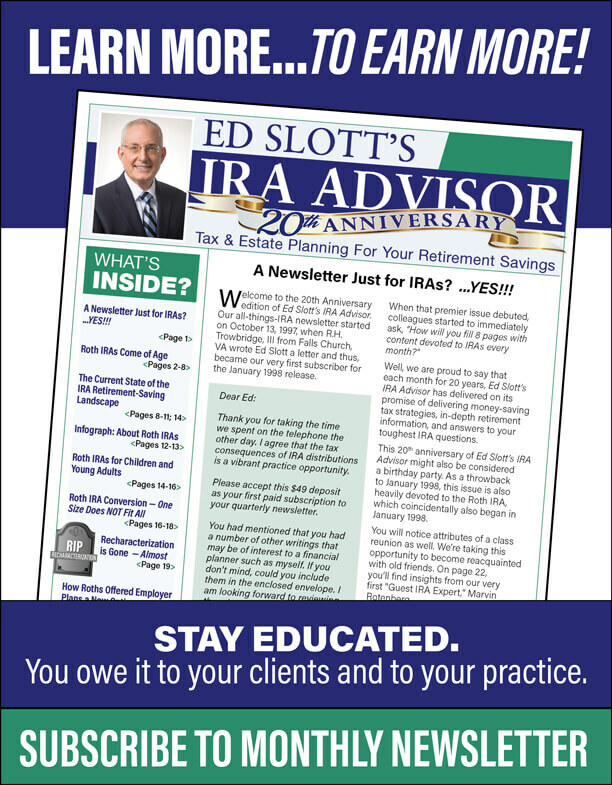 Stay current on the latest tax rulings and need-to-know retirement information. Take advantage of tips and techniques from the industry’s top experts. Utilize easy-to-follow outflow pieces to generate inflow and stir up conversations. Be the fiduciary that your clients deserve. Stay educated. You owe it to your clients and to your practice. Available in either print or online formats for $125 annually.